After much disconcertion within the Munster camp over Rob Penney’s tactical game-plan this season, the New Zealander will leave his role as head coach of the Irish province at the end of this season. Penney joined Munster, along with fellow Kiwi Simon Mannix as backs coach, in 2012. He signed a two-year deal with the option of a third year depending on the success of his tenure at the club. Munster reverted from their historical reliance on their pack to bully other teams into submission and attempted to install a free-flowing passing style of play, under the leadership of Rob Penney. Although Penney has had to bear the brunt of much criticism during his time with Munster, he has been quite successful during his two-year stint. 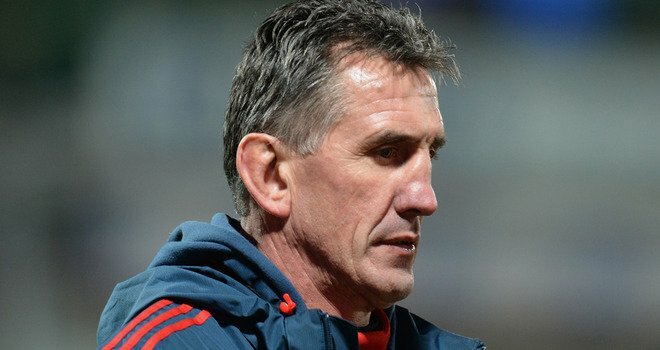 In his first year as coach, Munster reached the semi-finals of the Heineken Cup and finished a respectable sixth in the Pro12 Celtic League. This season Munster have further developed under the Kiwi coach. They have only lost three of their 18 matches all year and are due to play in the quarter-final of the Heineken Cup against Toulouse, in ThomondPark on April 5th. Penney will see out the rest of the season in which he hopes to see Munster achieve Heineken Cup success for the first time since 2008. However, he has confirmed that he will not sign a contract extension which would have taken him into his third year with the Province. Penney has a child currently studying at university in his native New Zealand. He has two younger children who will soon be graduating to university too. This may have been a big influence on his career move. No announcement has been made on who will succeed Penney as head coach of Munster. However, Anthony Foley, current forwards coach with the Province, is strong favourite. The former Munster back-row forward has been hugely influential during his coaching role. Another former Munster player, Mike Prendergast, has recently begun his coaching career in France with Grenoble. Likewise, Ronan O’Gara is in the early of stages of his coaching career with Racing Metro in France also. The opportunity of Munster head coach may have come a little too early for the former Munster stalwarts. Unless Munster look to bring in a foreign coach once more, it looks like the job is guaranteed to be Anthony Foley’s. Given the fact Penney’s tactics were not wholly welcomed by the Munster faithful, this will benefit Limerick native, Anthony Foley, who has been associated with Munster throughout his career.